Our Customers from all over India can now get their hands on some of the most famous Bengali sweets invented like Mohan Bhog, Rasagulla, Malai Chom Chom, Raj Bhog, Chanar Jeelapi, Kalo Jaam, Kheer Kadam, Khirer Chop, Mishti Doi, Lobongo Latika, Bhapa Doi, Nolen Gurer Payesh, Pantua, Pati Shapta, Darbesh, Payesh, Lady Kenny Shor Bhaja, Nikuti and Sita Bhog are now available online thanks to OrderYourChoice.com which has largest collection of Bengali sweets online. Our Bengali sweets menu are one of a kind special as they are made with fresh ingredients like Chanar, sugar, Charoli, Ghee, Cardamom, all-purpose flour with garnishings like Almonds, Pistachios, Saffron to make them attractive thus our Bengali has looks to match its splendid taste. 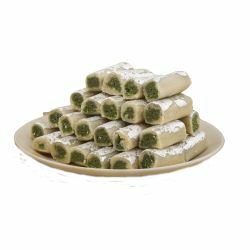 Our Bengali sweets online are adroned with these garnishings which gives them distinct looks as well as peculiar enchanting taste and aroma native to Bengali mithai. Bengal is known for its sweet delicacies especially Cham Cham, Rasagulla, and Sandesh which are cherished and shared by the Bengalis during Bengali celebrations like Bengali New Year, Kali Puja, Lakshmi Puja, Bhai Phonta, Gaura Purnima, Kalpataru, Mangal Shobhajatra, Durga Puja, Mahalaya, Raksha Bandhan, Shivaratri etc. These Bengali sweets are shared during these Bengali festive seasons to strengthen the bond of relationships. Now with the emergence of OrderYourChoice Indian customers residing in other parts of India can also strengthen their bonds with our range of Bengali sweets online especially sweets like Cham Cham, Sandesh, and Rasagulla which inherit the distinct Bengali food culture. 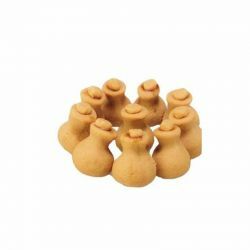 The unique feature of these Bengali sweets is they that they all main the same Ingredients which is a mix of Cottage Cheese, cardamom, saffron and all-purpose flour cooked in sugar syrup. The difference mainly comes from their distinct shapes which is unique to each Bengali sweets. Rasagullas are Elongated oval shapes, Sandesh is round shaped, while Cham Cham is oval shaped thus when it comes to difference these are the key spots to identify which distinguishes them from one and another. OrderYourChoice has an array of the most demanded Bengali sweets online. Customers from all over India can now buy Specialty Bengali sweets like Chum Chum, Rasagulla, Malai Sand-witch, Raj Bhog, Kheer Kadam, Mohan Bhog, Rasamalai and Sandesh online thanks to OYC which is also known for providing swift sweets delivery across India. Below is a table showcasing our line of Bengali sweets which customers can Order Online. Bengal has witnessed drastic growth in confectionery industry mainly because of its close association with social and religious ceremonies. Competition and changing tastes have been the triggers to create many new Bengali sweets, and today this Bengali sweets industry has grown within the country as well as across the world. With the emergence of the internet, it is now possible to buy Bengali sweets online. OrderYourChoice is one of few online sweets store which stocks Bengali sweets famous across regions like Siliguri, Howrah, Durgapur, Asansol, Bardhaman, Midnapore, Haldia, Bankura, Darjeeling, Kalimpong, Purba, Bishnupur of Bengal. We provide free delivery of Bengali sweets across Bengal anytime. Bengalis can now integrate their native Bengali sweets with other items like chocolate, Flowers, personalized gifts customize them in any combinations to be sent as a gift to their beloved ones in Bengal or any parts of India. 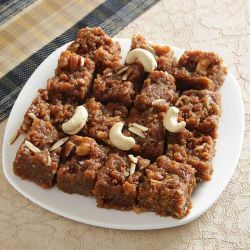 Sweets occupy a prominent place in the diet of Bengalis and at their social ceremonies. It is an age-old tradition among native Bengalis to distribute sweets famous during religious festivities like Durga Puja, Kali Puja, Diwali, Saraswati Puja, Dolyatra, Rath Yatra, Jagaddhatri Puja, Eids, Muharram, Christmas etc. OrderYourChoice facilities Bengalis to get their native Bengali sweets online like Chum chum, Gulkand Burfi, Doda Burfi, Badusha, Kalakand, Kaju roll, Amrit Khumba, Doda Burfi, Sandesh, Amrit Khumba, Angoor Malai, Malai Sandwich, Besan Laddu, Pista Roll etc. Our range of Bengali sweets exhibits their tradition in an unprecedented manner. Since we maintain a partnership with native sweet shops of Bengal some of which are Balaram Mullick and Radharaman Mullick, Mithai, Hindustan Sweets, Dwarik’s, Mouchak, Nalin Chandra Das and sons, Chittaranjan Mishtan Bhandar, KC Das, Gupta Brothers, Girish Chandra Dey and Nakur Chandra Nandy etc. 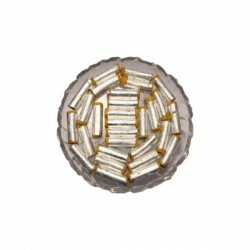 They are Popular among locals of Bengal for producing Bengali sweets of immaculate quality. Thus customers can expect authenticity of Bengali when they place the order for our Bengali sweets Online. Below is a table depicting our line of famous Bengali sweets online present at OrderYourChoice. Bengal always has been the land of sweet lovers. It is generally assumed that this region, which once was called as Gour Banga, the name was derived from the production of ‘Gur’. Even in those earlier days, Bengali was famed mainly for its creativity in sweets making. Chanar was invented mainly due to necessity. In early days the milkmen, after the day's selling, were left with a high quantity of unsold milk which was utilized for making buttercream or other milk by-products. The unsold milk used to get sour and forms 'Chanar' which had no use and dumped as waste. In order to prevent this daily wastage, Chanar was made palatable by mixing it with sugar or molasses to make into a paste. This paste used to be known as 'Makha' or 'Makha Sandesh', thus the reason why Bengali sweets are commonly made of sweetened cottage cheese (Chhena). Varieties of Flours from different cereals and pulses are used as well. Some important sweets of Bengal are Rasagulla, Gulab Jamuns, Chum Chum, Gulkand Burfi, Doda Burfi, Badusha, Kalakand, Kaju roll, Amrit Khumba, Sandesh, Angoor Malai, Malai Sandwich, Besan Laddu, Badam Pista Burfi etc. What are the most Sought after Bengali Sweets at OrderYourChoice? Bengali sweets like Cham Cham, Sandesh, Rasagulla, are some of the most wanted Bengali Sweets. These sweets are native sweets of Bengal which use Paneer or Chhena as a base ingredient cooked in sugar syrup. In addition to Chhena ingredients like cardamom, saffron and all-purpose flour are added to give consistency to these Bengali sweets. 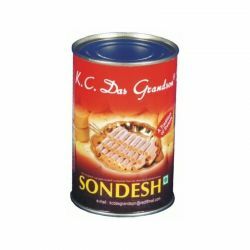 Where can I get Sandesh Online? 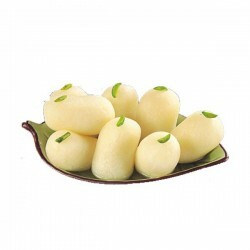 OrderYourChoice enables its Indian customers to get native Bengali delicacies like Sandesh online. 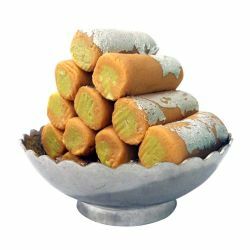 Sandesh is one of the most renowned Bengali sweet available online at OrderYourChoice. Sandesh is made up of ingredients which primarily consists of Chhena or cottage cheese mixed with all-purpose flour, Saffron, Cardamom which are then cooked in boiling Sugar Syrup. What is the difference between Pantua and Gulab jamun? Pantua is a Bengali sweet which is made up of ingredients like semolina, Chhena, milk, ghee and sugar syrup. while Gulab Jamun is also a milk-based desert but its primary ingredients are wheat flour and milk powder which are made into dough and cooked in boiling sugar syrup. Pantua can be considered as a Bengali variant of Gulab Jamun. Are there any differences between West Bengali and Bangladeshi sweets? There is really no difference when it comes to two both are identical in many aspects like ingredients and color. Only names are bound to change region wise. Example Gulab Jamuns is called as Kalojam in West Bengal and Pantua in Bengal both have similar ingredients but called by different names. The names are acquired based native locality. What are different types of Bengali sweets can I find at OYC? 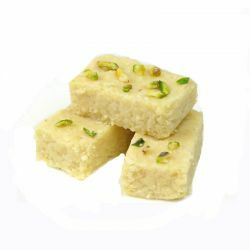 We stock a huge collections of Sweets famous to Bengal like Rasa Gulla, Gulab Jamun, Sandeesh, Amrit Khumba, Doda Burfi, Sandesh, Amrit Khumba, Angoor Malai, Malai Sandwich, Besan Laddu, Pista Roll, Gulkand Burfi, Doda Burfi, Badusha, Kalakand, Kaju roll, Chum Chum, Gulkand Burfi, are some of the most cherished sweets by Bengali locals. Yes, we have various traditional sweets that can be bought online. The range includes Sweet Somas, Groundnut Urundai, Manoharam Urundai, Athirasam, Tirunelveli Halwa, Mysore Pak, Mewa Ladoo, Paneer Jalebi and many more. Ordered Sugarfree roll for my grandmother. The sweet was delivered right at the scheduled time. She liked it very much. Cham Cham is just so yummy. Totally loved it. Appreciable packing and timely delivery. Thanks a lot. Finally, OYC as made it possible for me to get my hands on sweets from Kaka Halwai my favorite sweet shop. Malai sandwich looks great tastes terrific you must seriously taste to believe me. 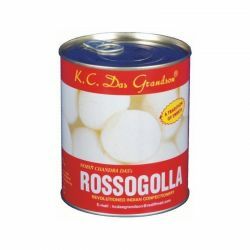 Rasamalai is the sweet of my choice let it be any occasion OYc has some of the best Rasamalai online. OYC is the best place for buying Bengali sweets online I am suggesting OYC solely because they give some of the best quality Bengali sweets online. Thank you OYC. Ordered Sugar free laddoo sweet online for my mom. She loved it and wants more of it.